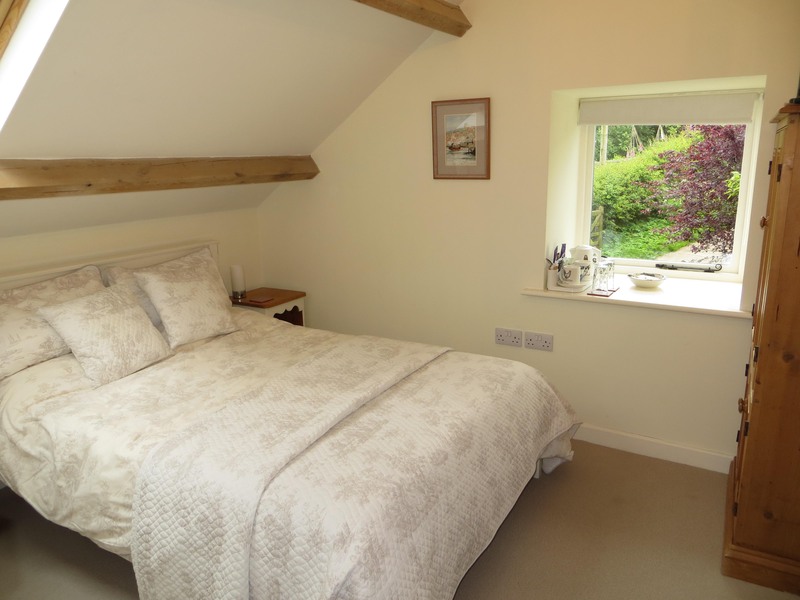 You can now stay for bed and breakfast at historic Skerry Hall Farm. Set in a quiet, secluded position, nestling into the hillside below heather-clad moorland, with panoramic views over Robin Hood’s Bay, Skerry Hall offers the perfect bolt hole for those seeking first class accommodation in a house full of character. 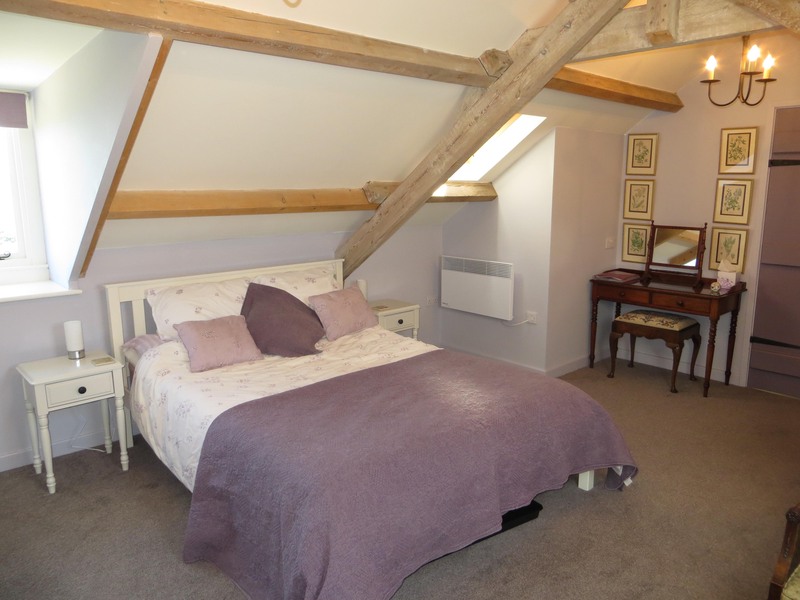 You can choose between one of three beautiful rooms, each with an en-suite shower room. Breakfast is served in our breakfast/sitting room, with its stone flagged floor and underfloor heating, which has a commanding view over the Bay. We can supply gift vouchers for any amount to pay for, or towards the cost of, a stay at Skerry Hall Farm. Just phone or email for details - a perfect gift for birthdays or anniversaries, to say 'thank you' or 'I love you'! Please note that all bookings are for a minimum of two nights and we are unable to accommodate pets or children under 12 years. As lovers of good food we ensure that our breakfasts feature the best of locally sourced and seasonal produce – including eggs from our own hens, sausages made by our own butcher, dry-cured bacon from a well-known Yorkshire estate’s farm and homemade preserves. You can enjoy a full English breakfast, or one of our alternatives of your choice, including vegetarian options. Skerry Hall Farm is well located on the footpath network, open moorland designated as "access land", and close to the Cleveland Way. It enjoys ready access to good cycle routes, including the Cinder Track - the former Whitby - Scarborough railway. We have secure cycle storage for our guests. Enjoy tea and homemade cake on your arrival in our beautiful garden (weather permitting) with spectacular views across Robin Hood's Bay. Keep an eye open for the deer, which pass regularly through our woodland alongside the garden, or the hawks which hunt over our fields - encouraged by the management of the adjoining moorland by the Hawk and Owl Trust. Hear the call of the owls as night falls .... and, of course, meet our friendly Dexter cattle. The breakfast/sitting room, available at all times to our guests, offers a quiet and comfortable place where you can plan your next day's activities sit and browse through our selection of books of local interest, or just enjoy our marvellous view. If you need to access the internet take advantage of our free wi-fi connection. Beyond our farm, explore the public footpaths - one of which passes through our fields - that take you through some of the most beautiful countryside in England, to dramatic cliff tops or down to the sea at Robin Hood's Bay. Explore the open moorland, rich in Bronze Age archaeology with numerous tumuli, linear earthworks and even a stone circle. Hear the curlew and the grouse. Locally you can visit the National Trust's Coastal Centre in the Old Coastguard Station in Robin Hood's Bay, go to the local museum, enjoy a ghost walk ... and all that without even venturing to Whitby.